This August marks 75 years of business for family-owned Harrell’s, the producer and manufacturer of liquid and granular agronomic solutions. On Aug. 1, 1941, Ormond and Lucile Harrell opened for business on the corner of Pine Street and Florida Avenue in Lakeland, Fla. With their feed store, the couple aspired to provide quality products and friendly, personal service. 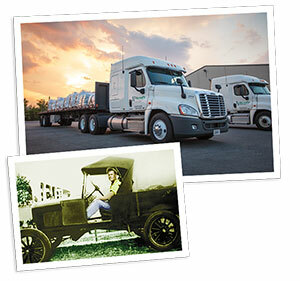 Seventy-five years later, Harrell’s leadership maintains the same aspirations. From that one feed store the company still privately held, family-owned has grown to 18 locations and 320 employees across the United States under the leadership of third-generation owner Jack Harrell Jr. and his team. Products are sold to 10,000 customers across the United States, the Caribbean, Central and South America, the Middle East and along the Pacific Rim through sales representatives providing service in local communities, according to Harrell’s. Today, Harrell’s produces liquid and granular fertilizers, specialty liquids and soil surfactants for professional use in the turf, ornamental and specialty agriculture markets. They are also one of the nation’s largest distributors of branded plant protectants and the exclusive U.S. distributor of Polyon controlled-release fertilizer, an enhanced efficiency fertilizer. Harrell’s two sons, Jack Harrell III and Will Harrell, also hold positions in operations, sales and business development. Jack Harrell III is now director of inventory and business development, while Will Harrell manages corporate compliance and government affairs.